I actually had a great post prepared for yesterday, but I decided to go to visit WeKache in Milwaukee for the weekend, so that never got done. So, yesterday was Valentine’s Day. I’ve never been a huge Valentine’s Day person, but I acknowledge its existence, and it seems like most of the world does the same. This year, however, everyone went batshit insane over Valentine’s Day. On Friday, one of my classmates said that he and his wife had booked dinner for Valentine’s Day over a month in advance. I thought he was just being silly, but oh my lord, there was absolutely nowhere to eat dinner that night. I think that coupled with a weekend, especially a Saturday night, made people more susceptible to eating out. After we called a few places that ended up having two-hour-long waits, we decided to go a nearby mall and try our luck. It was already 9:30 PM, and PF Chang’s had a 90 minute wait. They did say that bar seating was open, first come first serve. Stupidly, we didn’t wait nor put down our names, and went to try Maggiano’s at the other end of the mall instead, to find the exact same story, minus the bar seating. WeKache wanted to phone it in and just go home and cook something, but I wanted to go back to PF Chang’s and try for bar seating. We got back and the wait was still that long, but eventually we got a table and a more-than-decent meal. The only thing they were out of was the banana spring rolls, so we went for chocolate cake for dessert instead. We shared tofu lettuce wraps that were to die for, I had the Hunan fish, and WeKache had the beef and broccoli. Adding a coconut cooler (for him) and a sangria (for me) led to a ridiculous check of $60, but we tipped generously since our poor waiter had been dealing with a crazy crowd and the food was good and didn’t take that long to arrive, comparatively. Today, we slept in, had brunch at WeKache’s place, then headed out through the snow (yes, it snowed) to Starbucks to get some work done, after which we would get dinner. After reading 120 pages for Indian Theatre, I was checking my email and suddenly realized that I had bought tickets for Zap Mama at Memorial Union, for tonight at 8. After a minor freak-out on my part, we packed up, jumped in the car, and went to one of the restaurants we called the night before, a place I have been dying to go to, called The Safe House. They were considerably less busy than the previous night when we called, and we were only 12 minutes away, so we went. The Safe House is a spy-themed restaurant in a building called “International Exports Ltd.” After parking and saying “heyyy!” to the sculpture of The Fonz on the nearby Riverwalk, we headed inside a tiny room, where a woman asked us for the password. I gave it my best shot, but of course I was wrong, so she told us to put our backs against the wall. Fortunately, at that moment, a handyman walked in, and the woman pressed a button, opening a swinging bookcase that led to the entrance. Ever the rule-breaker, WeKache walked in behind him even though he wasn’t supposed to, while I stayed and answered the woman’s question of when the Berlin Wall was built (1961, on my third try, which impressed her) and she opened the bookcase for me. Behind the bookcase was a short mirrored hall, at the end of which, a wall opened, revealing the interior of the restaurant. The restaurant itself was a feat of architecture. After we were seated and had ordered, we were encouraged to look around. There was tons of spy memorabilia, from James Bond posters to a Checkpoint Charlie sign, and several hidden doors, behind one of which was a phone booth. Each little area had a different spy-related theme, from the KGB to the German Underground, and it was pretty awesome. The food was a bit on the small and overpriced side, but service was quick and the atmosphere was worth it. The waitress even got into it, calling us “spies” rather than customers. I checked my geocaching app for some reason, and it turned out there was a geocache inside the restaurant! So, I went to the bartender, and she pulled it out: an ammo box full of goodies that has been there since 2002. So we did, and as I picked up the phone, a message played, with a number combination. Once I dialed the number, the wall opened up to a cold underground tunnel, which led us to the exit. What a crazy experience. After I got all my stuff from WeKache’s apartment, I said goodbye and drove my snow-covered car back to Madison. According to my GPS, I was due to make it home at 8:11, eleven minutes after the beginning of the concert. Nevertheless, I pressed on, and once in the car, flew down the road, despite being dead tired. I made it home at 8:05 and walked into the Union at about 8:12. Fortunately, my ticket was still there and the show had just barely started, so I headed in. And I wasn’t the only one who was late – a huge group of at least 10 people walked in behind me – so I didn’t feel so bad as I headed to my seat in the first row of the mezzanine. I actually came across Zap Mama randomly while doing research for a paper on Ruined by Lynn Nottage (ironically, what my parents were watching at Everyman Theatre in Baltimore at that very moment) and found some songs on YouTube which I liked. The group is headed up by the incredibly talented and energetic Marie Daulne who was just as gorgeous onstage in her black dress as she is on her album cover. Hailing from Belgium and the Democratic Republic of the Congo, Zap Mama has sung their “polyphonic urban African hip-hop” since 1991, on albums and in movies like Tortilla Soup and Mission Impossible II. And now I am back home. All in all, I had a great weekend, productive and fun, the kind that my younger self always wanted to have: dinner with friends at a funky restaurant, some fun driving, a concert at night, the real ideal “twenty-something” life. Oh, and according to my statistics, yesterday I was visited by my 100th unique country of the year, Hungary, so there’s that to celebrate. My computer’s being extremely finicky today, so I hope that this post goes through, but if it does not, I can assure you that it was epic. I mentioned the other day that I finished two books. I reviewed one, so now here’s a review of the other. It’s slightly older (1990), but still a good read: Johannes Fabian’s Power and Performance: Ethnographic Explorations through Proverbial Wisdom and Theater in Shaba, Zaire. The cover of the book is actually quite boring, so instead, I put these flags and this map of the country, where someone conveniently circled Lubumbashi in red. Thanks, Internet! While doing research for my master’s thesis, I came across a book that cited something that I liked that came from this book, and the title itself hooked me in. Ethnography, performance, power structure – what’s not to like? To briefly summarize, Fabian went to Elisabethville, Shaba, Zaire (now Lubumbashi, Democratic Republic of the Congo) in 1986 to do some delicious fieldwork with locals, creating a performance piece that ended up involving an entire town and even some higher-ups. It is pretty evenly split between theory and practical information; the first part details the events leading up to and surrounding the rehearsals and performances, and the nuances and situations that came up, and the second part is more or less a rudimentary script of the piece. Fabian writes the Swahili versions of the scene first, following it up with one or more English translations. I didn’t even bother reading the Swahili or the notes on the Swahili parts and just flipped to the English. Part of me is thankful that I got several respites, but a part of me might have put the Swahili script together, and the English script after, or vice versa, as new characters kept getting introduced, and by the time I picked the book back up again after a break from reading and wading through the footnotes, I had to go back and refresh myself on what was going on. The play is actually not the focus of the work; it’s the theory that provides the most insightful information. In a rather unusual move, Fabian starts out with a criticism of himself and of “the field,” writing that “[a]lthough we do our field research on the premise of coevalness, of sharing time with our interlocutors on equal terms, we then go on to produce an allochronic discourse based on temporal distacing; we construct an Other whom we relegate to times other than our own” (4-5). I couldn’t have said it better myself; what Fabian is telling us here is that we put too much emphasis on comparison and judgment in ethnographic fieldwork that it can blur what’s going on in front of our faces. Fabian also dips into the history of theatre in Lubumbashi, back when it was called Elisabethville in the mid-20th century. He talks about Bwana Cheko, giving a very detailed description of their performance practices and dramaturgy on pages 72-73. One of the main focuses of his discourse, though is a phrase he keeps returning to: le pouvoir se mange entier, which is a French phrase meaning “power is eaten whole.” Interestingly, this proverb is well-known in Shaba, where is has different associations with different stories in varying languages. As Zaire/DRC used to be Belgian Congo, it’s not surprising that a French phrase would be in the national consciousness, but to have it appear among a multilingual discourse and have it mean different things in each is something unique indeed. On page 73, however, Fabian points it out on a conducteur (mission statement) from Bwana Cheko that reads “MORAL: LE POUVOIR SE MANGE ENTIER, i.e., the chief is there for everyone and cannot take sides, he must serve his people as an equal but with authority” (73). This gives a new meaning to power, as does the play text that succeeds it, about a chief who exercises power, but in a different way than one would normally expect. Inasmuch as proverbs and plays are statements (which perhaps should be questioned), they need authors and audiences, positions to be made from and situations to be addressed to. As performances they need occasions and “repetitions.” As artistic creations they require material – shared experiences, habits, images – from which they can be construed and canons according to which they may be judged and appreciated. Propositional content, event, and rhetorical form are inextricably related; temporarily to focus on one of them does not constitute it as a distinct object of investigation. Literary deconstructivism may be an approach congenial to this view but does not have to be applied as doctrine. In my view, moving in several directions at once is the only realistic way to deal with the complex context from which le pouvoir se mange entier emerged (even though to invoke realism is certain to rub deconstructivists the wrong way) (Fabian 263). Basically, parts of this text really got my rocks off, theory-wise. I can see myself reading more Fabian in the future and maybe even citing his work should I end up doing fieldwork in Africa – probably highly unlikely, but you never know. On a different subject, thanks for another six-continent day, and oddly enough, Europe was the last continent to show up on my blog. So, hello to those from North America (Canada, USA, and Antigua & Barbuda), South America (Colombia and Chile), Europe (Ireland, Ukraine and Sweden), Africa (Ethiopia [welcome!] and South Africa), Asia (India, Pakistan, Philippines, Taiwan and Japan) and Oceania (Australia). Fabian, Johannes. Power and Performance: Ethnographic Explorations through Proverbial Wisdom and Theater in Shaba, Zaire. Madison, WI: U of Wisconsin P, 1990. I decided that instead of “Book Review: Author, Title,” I’d adopt an actual title for all future book reviews, starting with this one. 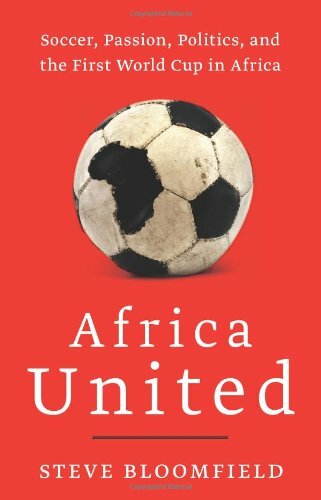 Today’s book review is Africa United by Steve Bloomfield. This copy has been traveling with me ever since I bought it at a Half-Price Books in Houston, and it’s been through about ten states and at least two plane rides, waiting for me to open it. I finished it last night just before drifting off to sleep. In Africa United, Steve Bloomfield, a Kenya-based news correspondent, travels around Africa in search of connections between the continent of Africa and the world’s (except for the USA) favorite sport. The impetus for this book came about upon the announcement of South Africa as the host nation of the FIFA World Cup in 2010. After narrowly losing the bid for 2006, South Africa rallied to become the first African nation to host the World Cup, a feat for a continent which has yet to host a major international sporting event, such as the Olympics. This sparked a movement across South Africa and the rest of the continent as a “unified Africa,” fueling an already fervent love for the sport among Africans. Steve Bloomfield starts from Egypt in his journey down the continent, through some of the “best and worst” teams in Africa – Sudan, Chad, Somalia, Kenya, Rwanda, Democratic Republic of the Congo, Nigeria, Cote D’Ivoire, Sierra Leone, Liberia, and Zimbabwe – before arriving in South Africa at the beginning of the World Cup. Bloomfield notes that he couldn’t cover all the countries of Africa in his introduction, but oddly enough, his “best and worst” happened to omit three of the six African teams who qualified for the World Cup; Cameroon, Algeria, and Ghana, leaving me to question his judgment of “best and worst” – aren’t these three countries among the “best,” who qualified in the same way that Cote D’Ivoire and Nigeria did? Despite this, Africa United takes no prisoners; as Bloomfield wends his way through the countries, he also gives us some insight into their history, geography, and politics in addition to their individual relationships with soccer. What I enjoyed the most were the chapters through nations we don’t see very often in literature, like Chad and Somalia. Somalia, in particular, poses quite the pickle regarding international team sports; its status as a failed state with no government leads to very little in the way of facilities and amenities, not to mention safety. Ergo, all their matches – even “home” matches – are played outside the country. 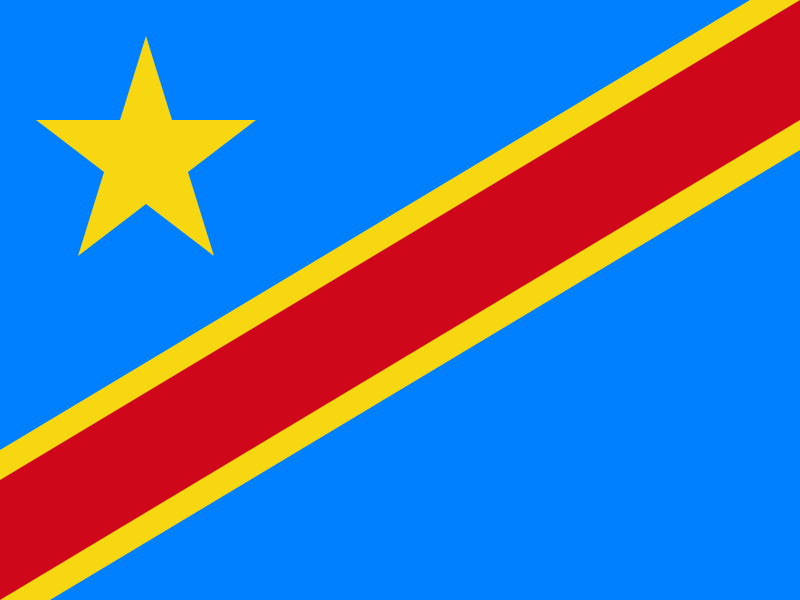 Another factor that can lead African teams astray are due to politics and money; the chapter on DR Congo was enlightening in that respect, with prime minister vying for dominance via a bunch of guys just kicking around a ball. Local politics also play a part, establishing unification or establishment of difference. In Liberia, George Weah took his sport to the next level, running for president in his country’s first democratic election. Despite his popularity on the pitch, he lost out – but it would have been interesting to a sportsman of his caliber (who is also a college student in the USA) become the leader of an entire country. In Cote D’Ivoire, soccer filters down to the level of education, with some parents taking the money they would have spent on textbooks and school supplies for their sons and putting it towards expensive soccer clubs, thinking that their son will one day be as famous and wealthy as Didier Drogba, a footballer who made it in Europe and has become a cultural and national icon. The Zimbabwe chapter is by far the saddest, recapping a country once known as the “breadbasket of Africa” on its downfall to a dictator-led state with the world’s worst economy. Age fabrication is rampant, showing the even further lengths some countries will go to for just for the win. Some nations import players from Europe who were born or have ancestry in their countries; sometimes they arrive and change things, but more often they end up disappointing people, or not showing up at all. On the flip side, some countries’ entire teams skip town, as Bloomfield mentions in his epilogue of the Eritrean national team, who were no-shows for their return flight from a match against Kenya, opting instead to decamp in Nairobi and seek asylum there. But it’s not all doom and gloom. In the chapter on Nigeria, Bloomfield talks about how its national team and its purpose-built capital city of Abuja seemed to ease tensions and increase cooperation between the northern Muslim parts of the country and the Christians to the south. Whereas in Cote D’Ivoire, the provenance of players provided some much-needed kinship with its former enemy neighbor, Burkina Faso, where blurred geographic lines and movement resulted in some Burkina Faso players being Ivorian, and vice versa, leading both countries with someone to cheer for on either team. Overall, I mostly enjoyed the book. Some of the transitions are a bit clunky, or as Julian Hall puts it in his review “jumpy yet urgent” of the author, imploring him to further express “a little more passion in his reportage” (Hall). Bloomfield has a habit of switching rapidly from fun sports to refugees and genocide, but I guess that’s part of the greater story of Africa, that pride comes through pain, and that sports and games have a habit of doing just what they were made to do: create distractions, rivalries, and fun. Tsamina mina zangalewa: no love for Fozzie Bear. Bloomfield, Steve. Africa United: Soccer, Passion, Politics and the First World Cup in Africa.” New York: HarperCollins, 2010.